PAN (Permanent account Number) is 10 digit alphanumeric identifier issued to individual and company under income tax act 1961. It is issued by Income tax department. PAN number is mandatory for doing any and every financial transaction in India. 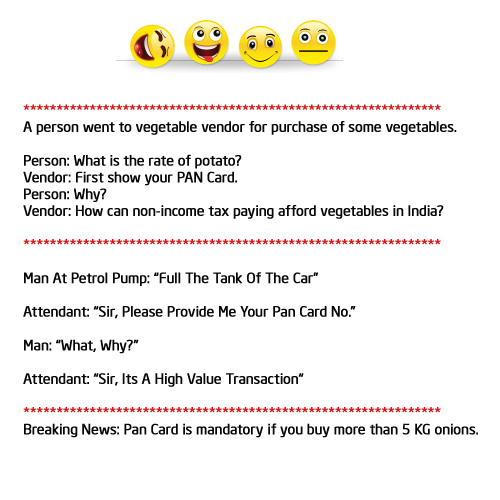 New PAN card can be issued by UTI or NSDL. For applying for PAN card one need to fill following form. FORM 49A: – To be filled by Indian citizens including those who are located outside India. FORM 49AA: – To be filled by foreign citizens. An applicant will fill Form 49A online and submit the form. Online application for PAN card -NSDL click here. Online application for PAN card -UTI click here. A confirmation screen with all the data filled by the applicant will be displayed. Individual’ applicants should affix two recent color photographs with white background in the space provided in the acknowledgement. Apply Signature / Left Thumb Impression within the box provided in the acknowledgement. Fees of processing PAN card application is 105 Rs/- if communication address is within India and 971 Rs/- if communication address is outside India. This payment can be done online on successful credit card / debit card / net banking payment acknowledgement will be displayed. Applicant shall save and print the acknowledgement. Send application and acknowledgement to NSDL (‘Income Tax PAN Services Unit, NSDL e-Governance Infrastructure Limited, 5th floor, Mantri Sterling, Plot No. 341, Survey No. 997/8, Model Colony, Near Deep Bungalow Chowk, Pune – 411016) or UTI (UTI Limited Plot No. 3, Sector 11, CBD Belapur NAVI MUMBAI – 400614 ) for processing along with proof of Identity and proof of address within 15 days from date of application. You can verify or know about your PAN card details from Incometax, NSDL or UTI site. Provide your date of birth, First Name and Surname. Enter Captcha code and press submit button. On submission you will find webpage mentioning your PAN details including jurisdiction – IT ward details and status. Input 15 digit acknowledgement number or Name and date of birth/incorporation. On submission you will find webpage mentioning your PAN card details and date of dispatch. You need to register at UTI for PAN verification. Once you are register and login please input your details and you will get information about PAN card. 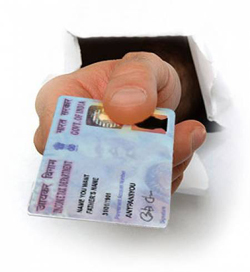 Although it is easy to verify PAN card but many people find it difficult task. The reason is they put wrong information or does spelling mistake. Remember following to verify PAN details online. If you are facing any difficulty to verify PAN card please write back to us.